You don’t need to enroll or even track your points, Vanis Counts for you. Vanis does all the work and you get the reward. 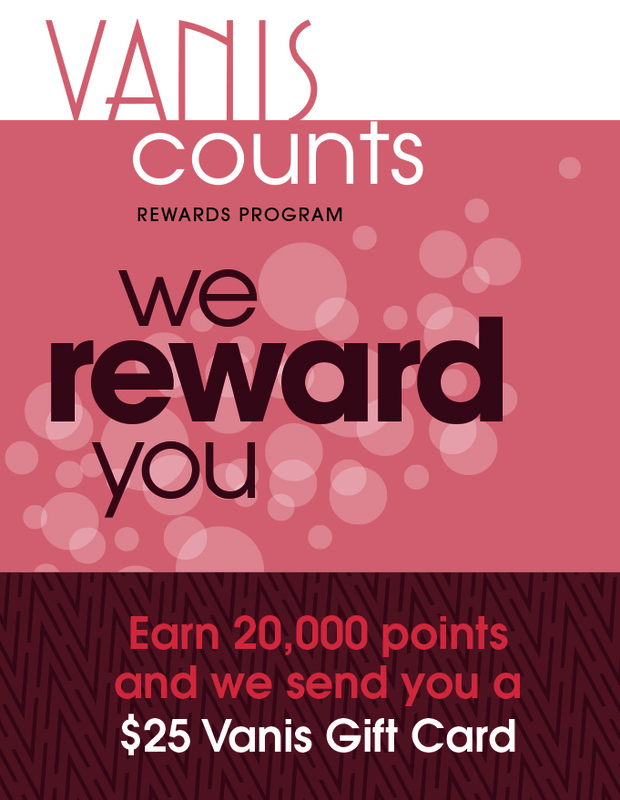 You earn points for referrals, services and retail purchases. Look for your point total on your receipt. Your $25 Reward Card will be mailed to you quarterly, once you accrue 20,000 points.